During the month of July 2017 three students, guided by expert coaches, worked on an OpenStreetMap (OSM) focused project. Our work was done in the context of the 2017 open Summer of code, which is an initiative of Open Knowledge Belgium. The oSoc challenges teams of students to solve real-world problems through application development. At the 7th edition of oSoc, a total of 40 students worked on 10 cutting-edge projects build on open source code. Our project developed an OSM bike route validation online platform. Using bike map data from the Brussels government’s online open data portal as a reference, OSM bike route for Brussels is verified for its completeness and correctness. This comparison, which is constantly updated, provides both visual and technical output that guides the local mapping community to make corrections on OSM. Third party applications using OSM bike data would now have a reliable data source for Brussels. Brussels has developed a region wide cycling network. Known as the ICR (Itinéraires Cyclables Régionaux) in French or the GFR (Gewestelijke Fietsroutes) in Dutch, the network aims for fluid and safe journeys spanning all 19 communes of the region. To encourage more cyclists on more efficient and safer routes, one approach is to ensure that traveller information is robust enough to guide cyclists to these routes. Nowadays most people use their phone to route themselves while they’re driving or using public transport. These apps usually incorporate the signage that travellers will see in their surrounding environment. The #oSoc Bike for Brussels app team is pursuing this same strategy. This means that cyclists can better situate and wayfind themselves in relation to signage. The development of the app demonstrates the power of high-quality open data and would inspire the creation of other advanced apps for the public to support them through everyday activities. This work highlights the importance of supporting open map data creators to support third party applications. OSM is a collaborative project to create a free editable map of the world. Mapping is done through local expert knowledge to continually create and validate the map. In Belgium, the local community is very active and this has allowed cycling paths all over the country, especially in urban areas like Brussels, to be mapped with a high level of completeness and correctness. OSM is already used by well-known cycling navigation apps like Strava and CityMapper. This demonstrates the power of OSM as a reputable source of map data. When OSM Brussels bike data improves, this also benefits other third party data users of OSM to improve the reliability of their applications. This is where our work becomes relevant since the map data from OSM needs to be complete and accurate for a navigation app for the city to be reliable. We developed an approach available to assist the OSM community to verify that map data is of good quality. Even though mappers usually carry out their work based on personal knowledge, OSM contributors often rely on official reference maps on a particular theme to guide their work. When there are issues then they can edit the map to correct it. Our solution, therefore, ensures the map comparison and correction process, known as conflation, is a lot more efficient. The regional cycling infrastructure is represented by open and online map data. Individual routes have information about their corresponding route colour and name. This is a useful reference, however, if the OSM community wanted to compare the completeness and correctness of OSM, a manual comparison will be too tedious for a mapping community working mostly in their free time. We solved this problem by providing a platform, to the OSM community, that automatically identifies potential issues on OSM, in relation to the cycling route map data from the Brussels government. 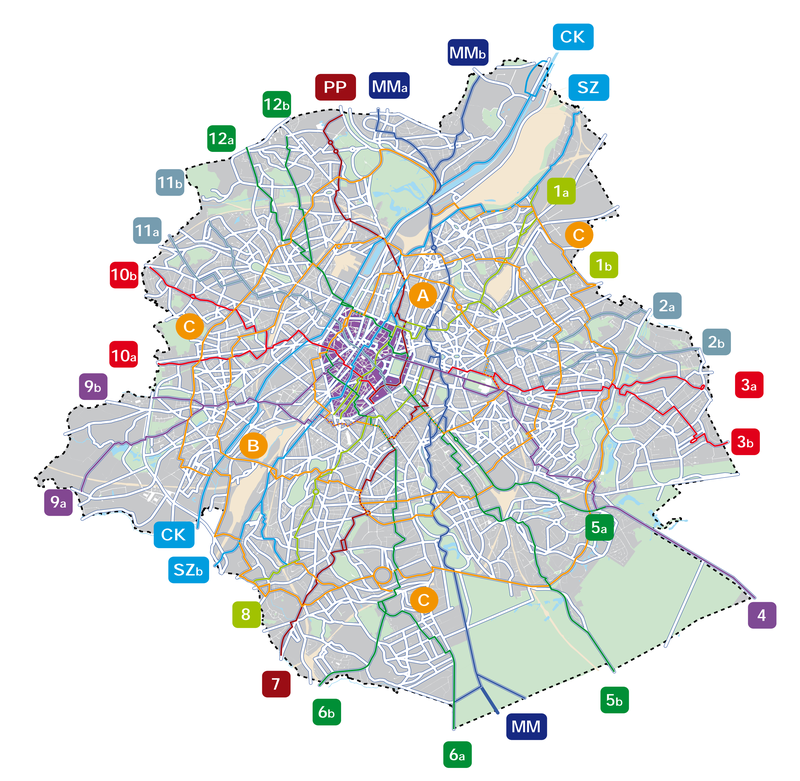 The result of our work is a web tool that supports the Belgian OSM community by assisting them to identify missing map data on the regional cycling network of Brussels. The image below provides an example of all the cycling routes and routes that are apparently missing in OSM. Apart from this visual aid, the website provides more technical information, such as tagging issues, and also an option to download geojsons of routes. Tremendous progress has already been achieved by a few members of the Belgian community who tested our tool. It is obvious from the time-lapse image below that most issues have already been resolved. This tool can be used by the community to monitor any changes. Also, since this is an open source project, our code can easily be repurposed for use in other places. The tool that we developed aims to assist and encourage the verification of the OSM cycling routes in Brussels. Because we are an open source project, the code can be reused for other situations all over the world when one geo-dataset needs to be used as a reference, to compare OSM geo-data for completeness and correctness. The open source approach also extends to our collaborating team mates who are working on a mobile web app that uses the route coding and colouring scheme in their routeing interface. rideaway-data is maintained by oSoc17. This page was generated by GitHub Pages.